Location in the zoo: Texas Wild! In the panhandle section. 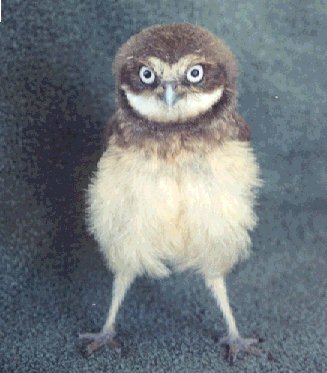 These owls have white eyebrows yellow eyes and long legs.They lack the eartufts common to most owls.They are sandy colored with with white to cream barring on their chest. 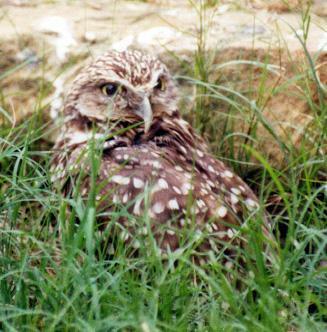 Burrowing Owls can build their own homes,but they prefer to live in old prairie dog holes. 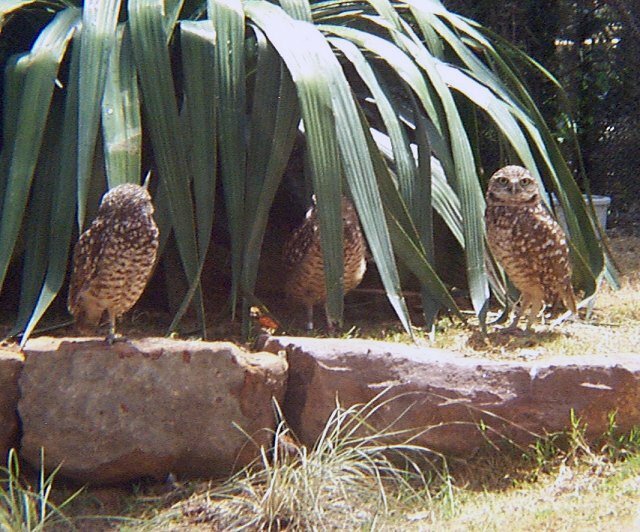 Often many owls live togather in a social group. They are active both day and night and can often be seen standing guard outside their burrows. 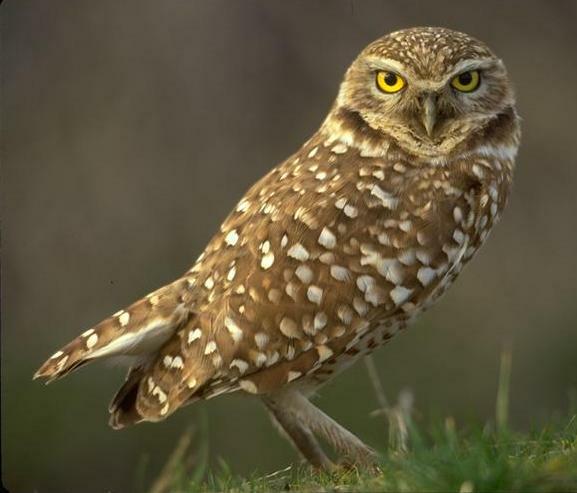 Burrowing owls fly with irregular wing beats.They hover during hunting and courtship,and may flap their wings asynchronously (not up and down together). Juveniles can give a rattlesnake like buzz when threatened. 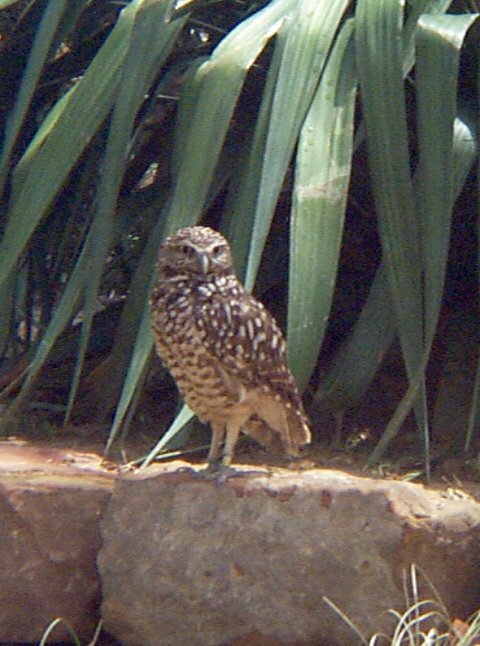 This fools preadators into thinking that there is somthing a lot more dangerous than an owlet in the burrow. 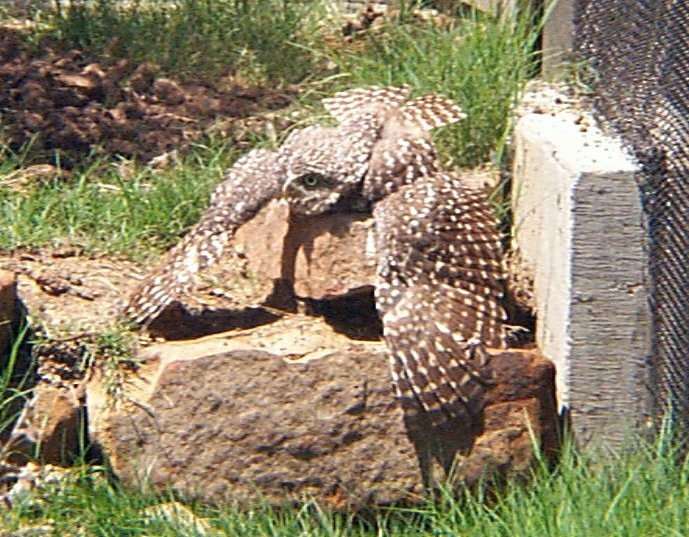 These owls are part of an interactive exhibit that includes other animals native to the Texas panhandle. They share their exhibit space with prairie dogs, whose burrows they may "borrow" when living in the wild. These owls are great to watch, they are active all day and sit out on their mounds looking really serious. Source Materials and Related Links,.